Wolves owner Steve Morgan believes new manager Stale Solbakken has the pedigree to bring success to the midlands club and insists the Norwegian's appointment is astute rather than brave. Wolves owner Steve Morgan believes new manager Stale Solbakken has the pedigree to bring success to the midlands club and insists the Norwegian&apos;s appointment is astute rather than brave. 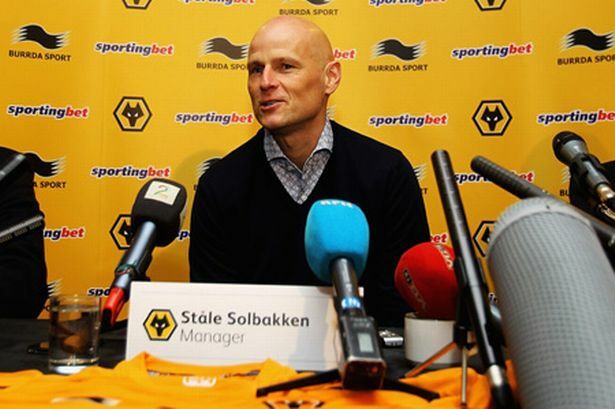 Solbakken was reluctant to make any rash predictions about Wolves returning to the Barclays Premier League at the first attempt following relegation from the top flight. But Morgan has no doubts about the 44-year-old being the ideal successor. Morgan said: "It is only brave in the sense Stale is not known in the United Kingdom. He is legendary in Scandinavia. "I don&apos;t think it is a brave appointment. He is a proven manager, has won countless silverware and his record is outstanding. "He will be an excellent fit for the club. We needed to bring in someone fresh, a new approach to the club. "Of course, any appointment in life, let along football, is a gamble, but he is the veteran of the Champions League and is a true professional." Former FC Copenhagen and Cologne boss Solbakken was keen to play down talk of Wolves prospects for next season. He said: "You cannot predict anything about what will happen in the future. "The job starts now and I will give everything and I will go back to Norway today with DVDs of all 38 games this season to study. "But we know the Championship is a marathon and if you ask eight or nine other managers, they will have the same aim. "It will be a hard, long season but we are positive." Solbakken was sacked last month as Cologne head coach but insisted: "Jose Mourinho would have struggled there. "This is not a Cologne press conference but it is fair to say they have struggles with in-fighting at the club and that killed us this year."